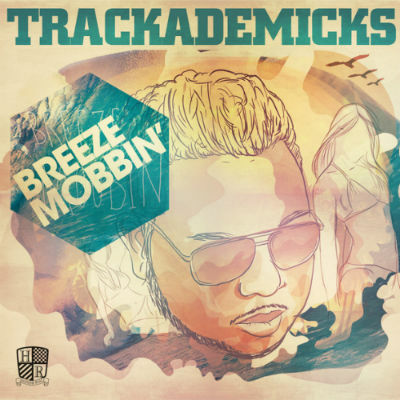 The homies Honor Roll present Trackademicks’ latest project, Breeze Mobbin’. Calling on some of his most tried and true collaborators, the roster includes Das Racist’s Kool A.D. (“Wooowww”), Heart Break Gang’s IamSU! (“Crew Thang”), Livewire/Town Thizzness boss J. Stalin (“Crew Thang”) and long time collaborator Lyrics Born (“The Next Level”). Breeze Mobbin’ also marks a first, as Trackademicks shares production duties with Honor Roll crew member 1-O.A.K. (“Mantra Music) and Sic Wid It heavy hitter Droop-E(“The Exhibition”). 04 Crew Thang feat. iamSU!, J. Stalin & 1-O.A.K. *All songs produced by Trackademicks, except where noted.